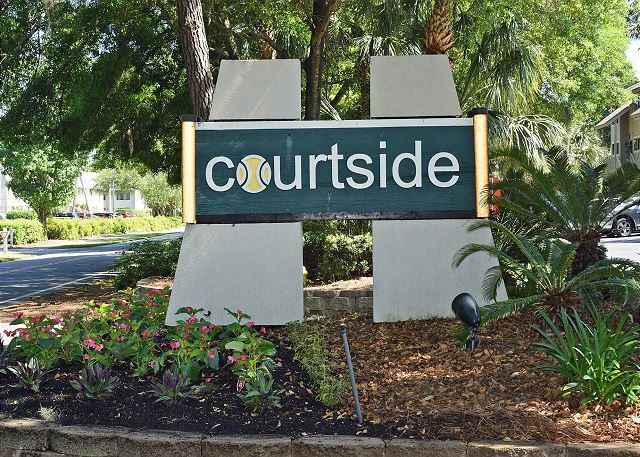 Courtside 94 has been remodeled with all the modern amenities. 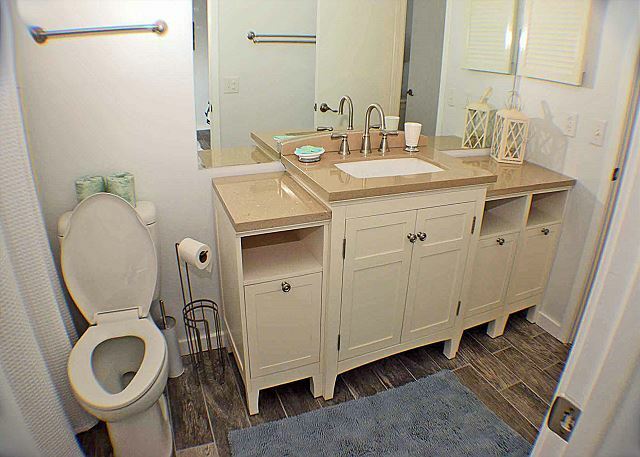 New bathrooms, flooring and all new furniture. 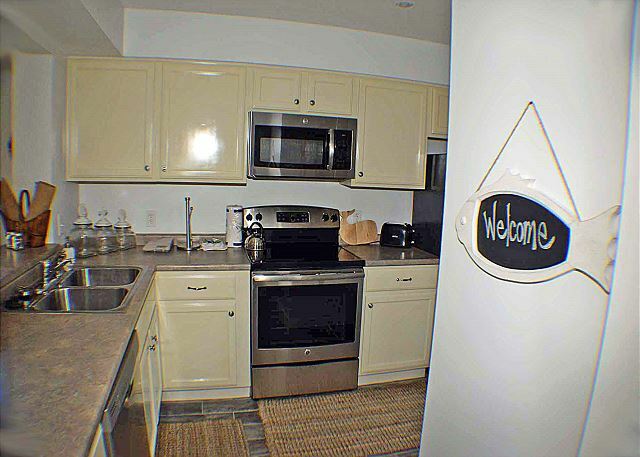 The kitchen is well equipped with everything you should need on your beach vacation. 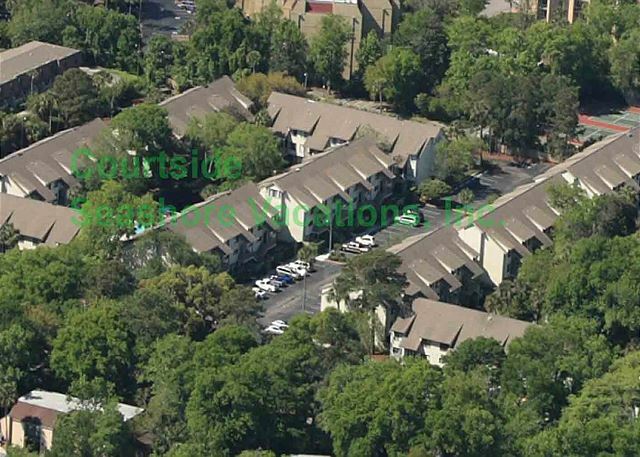 Courtside 94 has flat screen tv's and wireless internet. 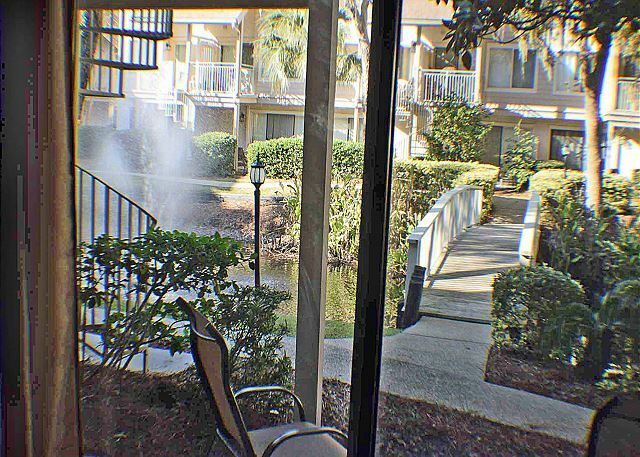 The condo is an open end unit with lots of light and perfectly located near the lagoon just steps to the pool. 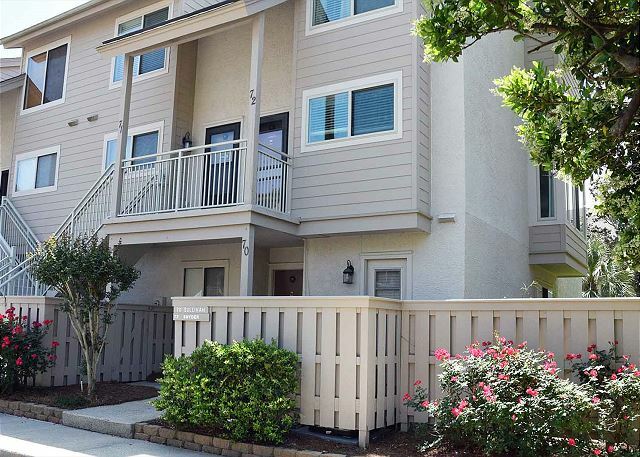 This unit is a ground floor unit with no steps and parking directly in front of the condo. A special membership with Van Der Meer provides Courtside guests with free tennis and up to one hour a day of free tennis at a world class facility. 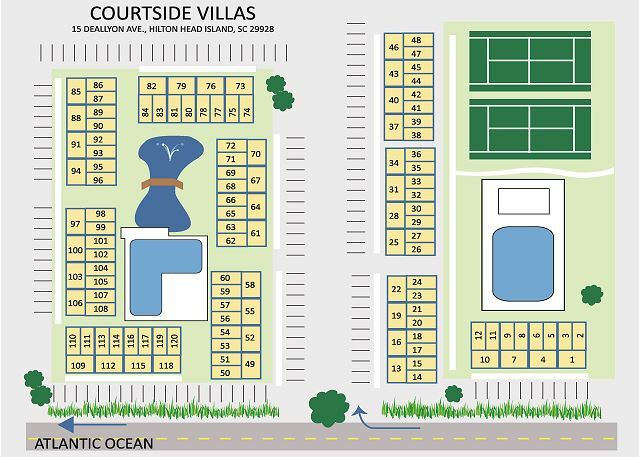 Courtside is located 1.5 blocks from the beach and near Coligny Plaza. 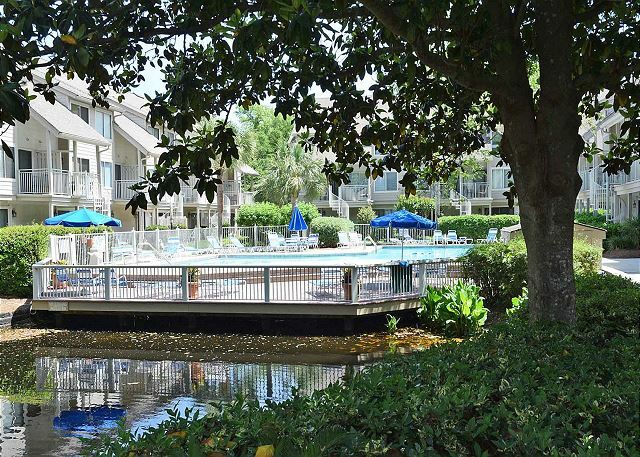 Coligny Plaza has several shops and restaurants for entertainment. You can take a stroll or short bike ride over for some ice cream after a hot summer day. 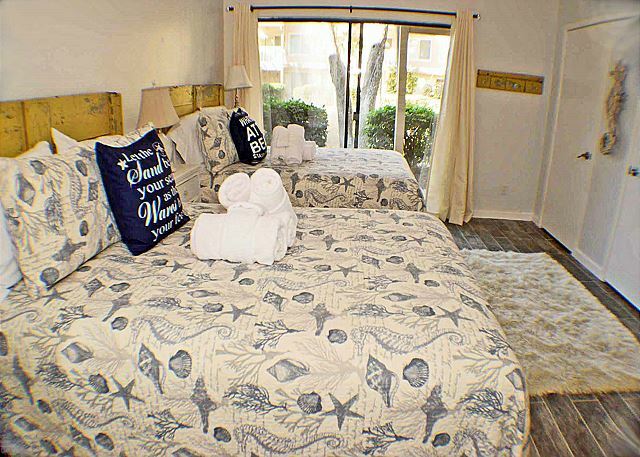 There is a king in the master, 2 doubles in the guest bedroom, plus a sleeper sofa. 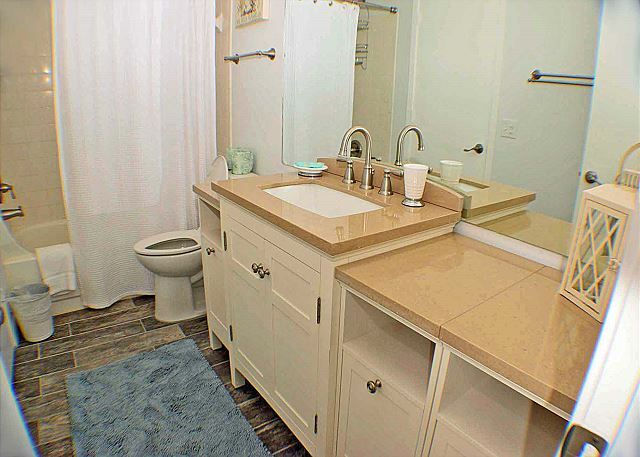 2 Full-sized Baths. Was without stress, Agents answered call responded favourably and thoughtfully. Had a fantastic few days in Hilton Head. Couldn't fault anything. The apartment was huge and immaculate and the complex quiet and very clean. We loved the pool and hired bikes to explore the island. Didn't want to leave! Villa was nice. Easy access to pool and beach. We enjoyed it. Thanks! We always enjoy coming to Court side 94. We request it each year and will only stay in this until. We thoroughly enjoyed our 3 month stay, We can't say enough good things about Seashore Vacations. They are great people with whom to work. Any problems are handled quickly and professionally. 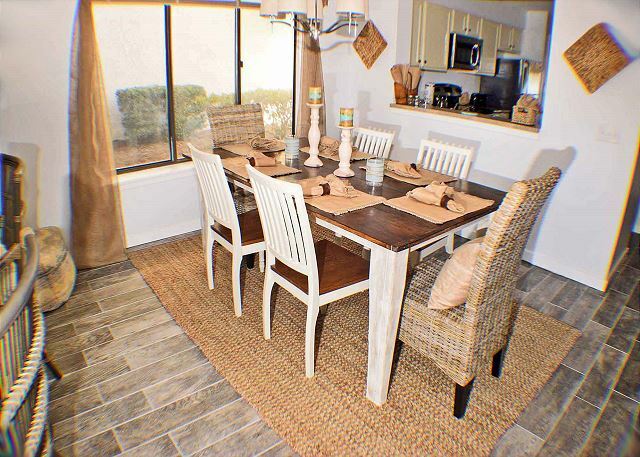 This is at least our sixth time renting through Seashore Vacations and we have always been very satisfied. 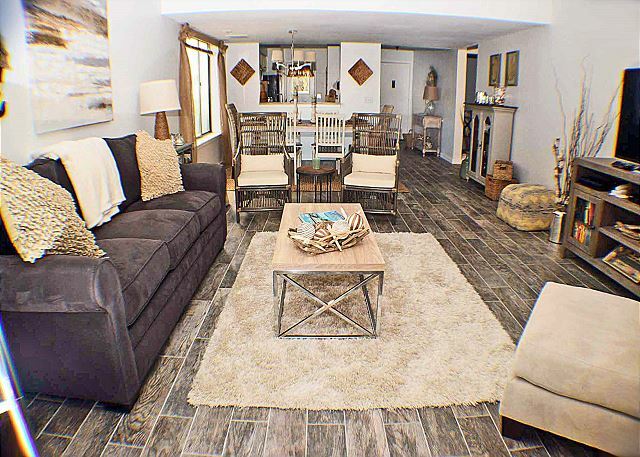 We plan on renting through Seashore Vacations in 2019. It was an amazing week with fabulous accommodations! We had a great vacation in this property. It was close to tennis and easy walk to the beach (6-7 min. walk). Beautifully decorated, beds comfortable (& my son even said sofa bed was good to sleep in!). Good selection of kitchen items for cooking, everything nicely kept. Enjoyed the small patio looking over the pond. Location is good because the pool is close but condo is not right by the pool (pool area did get loud at times w/ kids and music playing). 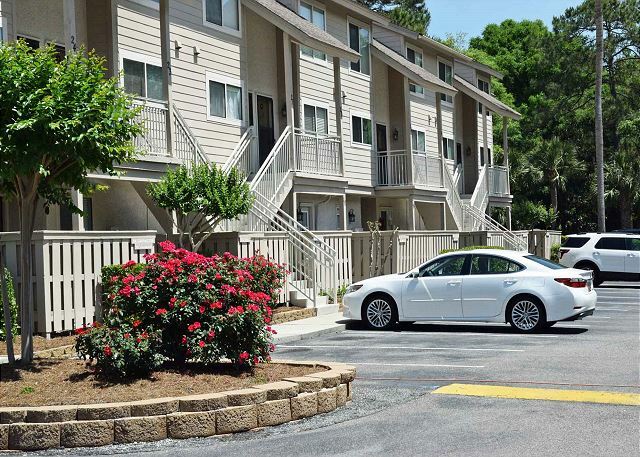 Seashore Vacations was very helpful and easy to work with. Great info and easy check in/out. 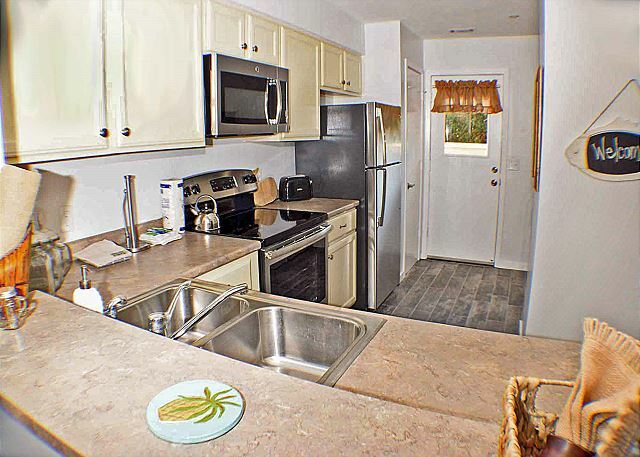 Very nice rental unit. Loved the decor and the proximity to the pool and pond. Appliances worked great especially the ac. My only complaint would be the cleanliness of the unit. We found dishes in cabinets that had Not been washed. There was a layer of dust on everything and the floor was gritty in each room. Everything was just what we needed. The condo was beautiful, clean, conveniently located and peaceful. The app made it so easy for the whole family. This was by far the most simple process I have ever experienced and we will definitely be returning. I rented this condo for a long weekend of golf. 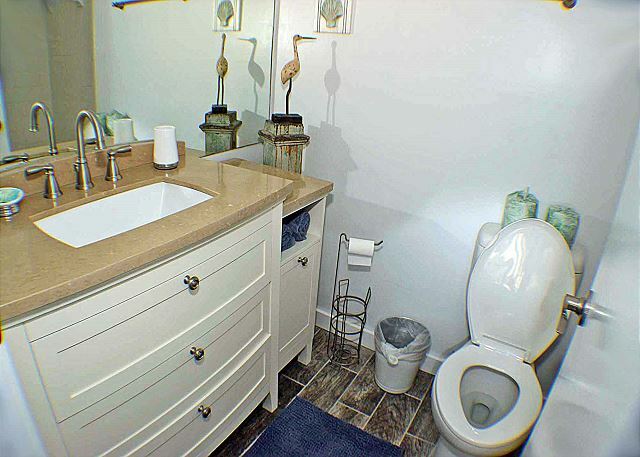 It was immaculately decorated and very clean. I loved the location, just a short walk to the beach and the view of the pond in the back was a nice surprise. I also love being so close to Coligny. I would highly recommend and plan to stay here again in the future. 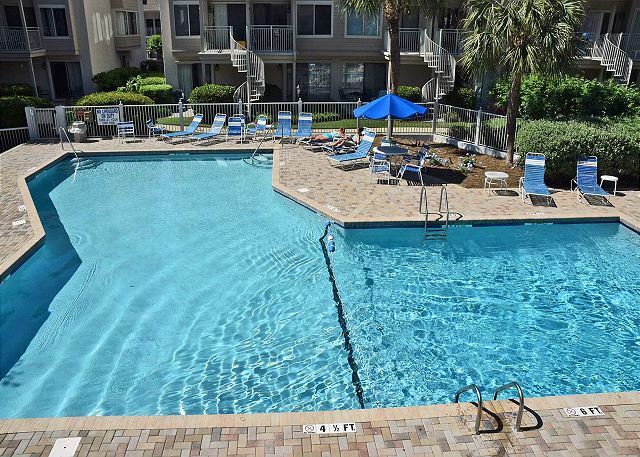 We booked this online, not having been to HHI before. 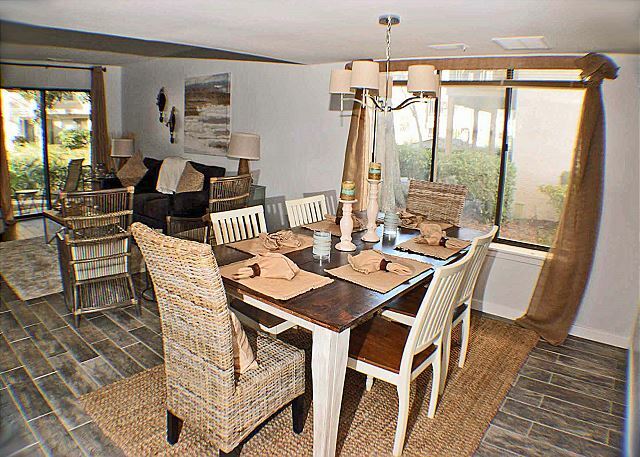 The condo is even nicer in person - great decor, clean, all the amenities we needed. Our kids loved the pond out back and being steps from the pool. The beach is a short walk away (1 block) and we biked to several restaurants and the grocery store. Great location!! Seashore Vacations was great to work with too. Beautiful place! Everything was nice, clean and updated! The condo had everything you could possibly need. Definitely a great place to stay! Will go again! Great rental, fair price, easy to work with the rental company. We enjoyed the property. It was a good size for our family of four. Good sized bedrooms and plenty of space to spread out. The property was beautifully decorated, it looked like it was straight out of HGTV. We appreciated that the pool was within reach of our baby monitor. We also appreciated the board games and books since we had to hunker down and brave tropical storm Hermine. Ground floor unit was a huge plus for our crawling baby as well as loading and unloading. We were very satisfied with the beautiful accommodations at our Courtside flat. The appointments were lovely and met our expectations and then some. We can't wait to return. The unit was very nice. Loved the wood like floors - so much neater than carpet. The unit was close to the pool. The screen door could use some TLC but we managed. Could also use some cutting knives in the kitchen - not just steak knives. Overall the unit had everything we needed. Was clean and well cared for. The week we were there the weather was exceptional. 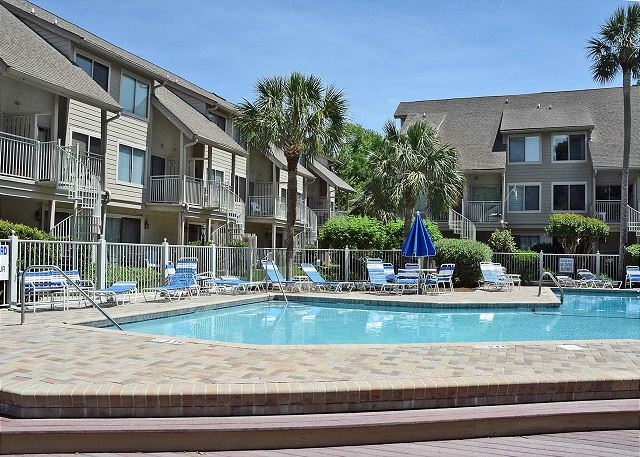 We always stay somewhere in Courtside as it's close to the beach, Coligny Plaza, grocery stores and other shopping. This unit was one of the better ones we've stayed in. Would stay here again. Our family of 5 stayed her for Spring Break. Highly recommended. 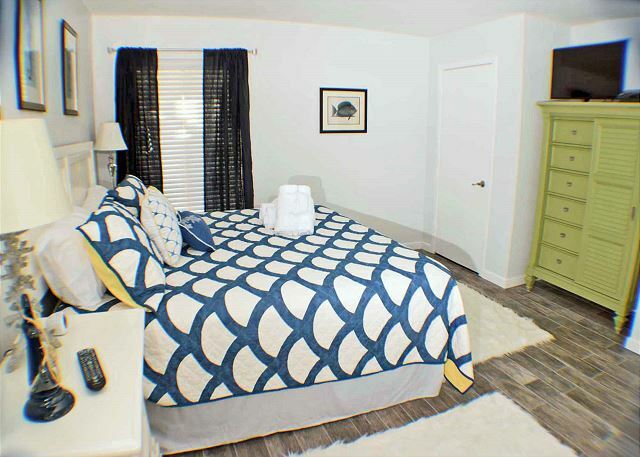 Great location and well appointed place; comfortable beds, all nice & new, perfectly decorated. Kitchen had everything we needed to prepare meals. Nice community & friendly neighbors. 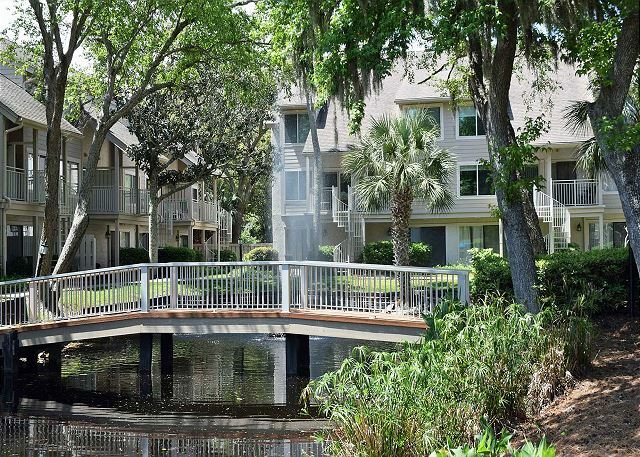 Walk or ride bikes to Coligny Shops, grocery and beach. We would definitely stay here again! Great stay with friends on Hilton Head Island. We got a referral from a friend and had a great stay. Unfortunately the weather didn't cooperate so we took some day trips to the Tanger Outlets, Shelter Cove and some of the local shops. Overall we were very comfortable at the condo and our only complaint was the noise at night from the tree frogs. Rather noisy and not ideal for light sleepers. The condo was clean and had everything we needed. Pool was right outside the sliding doors,the small pond had a lot of turtles swimming around. We walked to colingy circle every night after dinner. We would love to stay again next year!! The pride of ownership shows in this beautifully furnished and decorated villa. 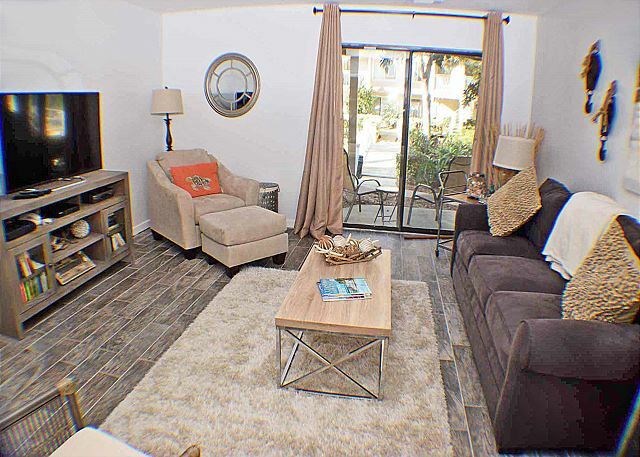 This is a stand-out unit in Courtside that accommodated our 3 adults very well. It was very clean and we especially appreciated the starter supplies like toilet paper, soap, etc. 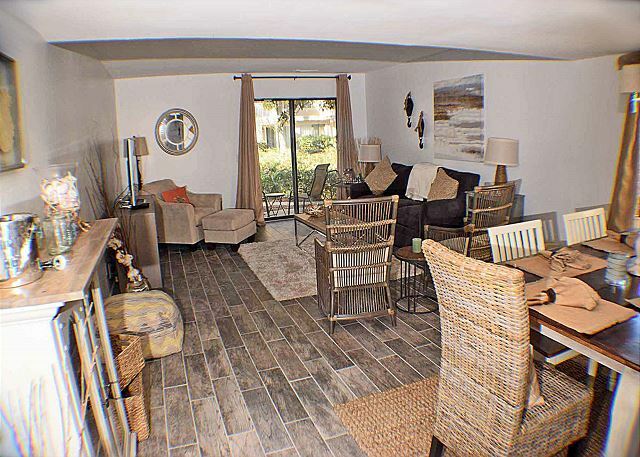 the fact that it's a corner unit made it quieter but still with easy pool and beach access. The condo was clean, neat and well equipped. Staying for 3 months we bring cooking items, but you could easily get by with theirs. It is ground floor, but being on the back side it is quite private. We've had a wonderful stay this year. The apartment is very clean and attractive. Staff has been great to work with. 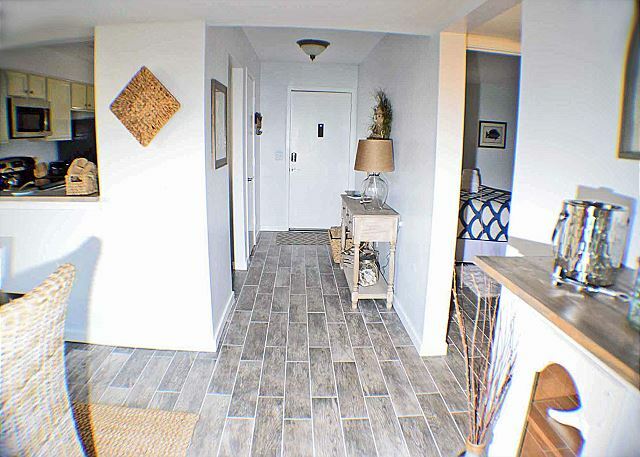 This condo was just remodeled, so it is in great shape. Very nice decorations. I wasn't sure we'd like the bottom floor space, but it is really very nice. No stairs to have to climb with all our luggage.